CIA открыла исходные коды своего приложения для совместной работы Collaborative ACH, своего рода своей внутренней социальной сети. Платформа была разработана три года назад и кроме ЦРУ была внедрена в Министерстве обороны США. Tellico is a collection manager for KDE. It includes default collections for books, bibliographies, comic books, videos, music, video games, coins, stamps, trading cards, and wines, and also allows custom collections. By and large I don't really care about what Microsoft do - I don't use their software, and I actively avoid making my career dependent on them. By and large I don't really care about what Microsoft do - I don't use their software, and I actively avoid making my career dependent on them. But I am a fan of the C# programming language and think the Qyoto/Kimono bindings for the Qt and KDE apis are pretty neat. However, the recent decision to lay off all the IronPython and IronRuby guys is so monumentally stupid, I don't know where to start. I still think C# and Mono are really innovative, and don't agree with all the Free Software trolling against them, even when it is from Richard Stallman himself. So what should we do? Arno is clearly not happy with working on C# bindings even though they are technically pretty amazing. Steve Ballmer why are you are still in charge? Вышел Vuze (бывший Azureus) 4.5 — торрент-клиент с возможностями медиабиблиотеки. Robin Burchell wrote up something on the various string classes which are available in Qt. Unfortunately, the comment function on his blog does not work for me, so I have to respond in a separate blogpost. Basically, Qt has two string classes. By “string”, I mean a chunk of memory which is interpreted as a set of consecutive characters. The most common string class, as Robin noted correctly, is QString, which stores the characters in UTF-16 internally. Robin then goes on to discuss std::string. It is, however, my opinion that std::string is of limited interest for Qt developers, unless they are going to interface with STL-based libraries. This is because std::string has a better equivalent with a more precise name: QByteArray. Both std::string and QByteArray are wrappers around the traditional char* character array. As such, they are best used in scenarios which do not depend on the locale. Last time I wrote about offline routing in Marble: Calculating routes between two or more places without the need for Internet access. This was realized using gosmore. In the meantime Niko Sams added support for routino, another offline router, to Marble. My last commit adds traveling salesman support, an offline router written in java. All of this will not be available in KDE SC 4.5, but 4.6. DataEngines publish data in a read-only pattern that allows the data to be accessed and shared by multiple consumers (or what we usually refer to as "visualizations"). The "read-only" part is a bit of an annoyance if the data being presented represents a live artifact. For instance, if a DataEngine was reporting on the network link, it might be nice to set the status of that network interface. Of if the DataEngine was publishing information about windows on screen, it might be nice to be able to say, "Hey, minimize that one." Or if the DataEngine shows information from an online service, it might be really useful to say, "By the way, here are my log in credentials for that service." We are in full swing of electronic books, bubbles that are likely to explode into a new phase of the war between the old and new generations of publishers, content providers and consumers. It is likely that sheet music enter the battlefield. Before proceeding I must warn you about two facts. One: despite the name of the blog, I am a Trekkie. Two: I am not a neutral observer. In my opinion traditional books publishing, as well as media labels, are going to lose. Those not able to adapt to changing times will disappear. Resistance is futile. The musicians are going to adopt electronic lecterns sooner rather than later. The electronic scores begin to replace the editions printed on dead trees, as is already happening with books. There are some solutions on the market, more or less primitive. Thank you to everyone who participated in our "Guess the Band" contest via Twitter, Facebook and VMworld.com. We will announce the 2 winners of "meet the band" passes next week and will contact them directly with details. Сегодня Quake Live наконец-то выходит из стадии бета-тестирования, начавшегося в феврале 2009. Напомним, QL это разработка id Software (ныне ZeniMax). Интересна тем, что позволяет запустить модифицированную версию Quake 3 прямо из браузера. Присутствуют элементы социальной сети (друзья, кланы), ведётся учёт статистики, есть античит и множество серверов по всему миру, в том числе и в России. Большинство карт QL взято из оригинального Quake 3 (некоторые их них слегка изменены), также добавлено много новых хорошо сбалансированных карт. Геймплей и графика сохранены, с небольшими исправлениями. Например, нет "мяса" (gibs). Игра с момента первого анонса горячо обсуждалась - уже в первые шесть часов бета-теста она собрала более 100 тысяч пользователей. В ноябре 2009 года их было уже больше миллиона. Whether you attend in San Francisco or Copenhagen, VMworld 2010 is the place to be for all VMware Certified Professionals (VCPs). Not only will the events include in-depth educational sessions on everything from desktop virtualization to datacenter management and operations, they will also offer the opportunity to take the VMware Certified Advanced Professional 4 (VCAP4) exams in Datacenter Administration and/or Datacenter Design. Even better, because of your dedication to VMware, you will receive this knowledge and training at a special discount just for VCPs. Register now for VMworld 2010 and take advantage of your special VCP discount. Learn more about getting certified at VMworld! Not a VCP yet? Find out how to become one here. This is a quick follow-up on my post from yesterday about adding content to Userbase and Techbase. The good news is that two people (besides myself) have started adding content to the Plasma Panels page. There's a discussion thread with three people (including me) adding to it. This is great! I added some links in the introduction section to text that refers to specific widgts, such as the system tray and tasks widget. If you're looking for something even more focused than "Panels in Plasma" to add to, log in to Userbase and click on one (or more :) of those links and start adding content. GCstar is a free open source application for managing your collections. Detailed information on each item can be automatically retrieved from the internet and you can store additional data, such as the location or who you've lent it to. Forced assignment of copyright raises the barrier to participation and therefore limits the amount of participation. When someone else owns rights over your work, they can do nasty things to them. Both of these statements are true. They are also not without provisos. Richard noted that the FSF provides a promise that it will never close the software up, for instance, which makes point two a matter of diligence: if you assign your copyright to someone without anything in return, such as a guarantee of how those rights will be managed (including termination of said rights should the other party break that guarantee), then you have just made a huge mistake. Thomas Thym (ungethym): RKWard is amazing! I had the pleasure to meet Aleix Pol and Stu Jarvis at Akademy. They guided me the way to KDE EDU and scientific apps for KDE. Weeks later I am sitting in my office doing some statistics. The funny thing is, that your brain sometimes is useful and I remembered an app called rkwrd or something. My friend google told me that it is called RKWard and that it is not a KDE Application. It is an application based on kdelibs (it I see that right). At home I fired up my kBook and installed the packages for r and RKWard. After a quick look into some of the nice tutorials I could do my first analysis and the linear regression I wanted to do. Brilliant. What a fantastic application. And I had such a hard time during my studies calculating statics by hand. Сегодня, во время ежегодной конференции разработчиков Debian «Debconf10», проходящей в Нью-Йорке, было объявлено объявлено о важном этапе разработки грядущего релиза этого замечательного дистрибутива — заморозке Debian 6.0 Squeeze. Это означает, что дальнейшая работа будет включать лишь доведение Squeeze до уровня стабильности и качества, которыми славится дистрибутив. Новые пакеты добавляться не будут. DKMS — фреймворк для сборки модулей ядра, не входящих в основную ветку. Упорядочение init-скриптов по зависимостям при помощи insserv, что сделает загрузку системы быстрее за счёт параллельного выполнения скриптов. Начата подготовка документации к дистрибутиву, для чего привлекается как можно больше добровольцев, в целях обеспечения перевода на как можно большее количество языков. 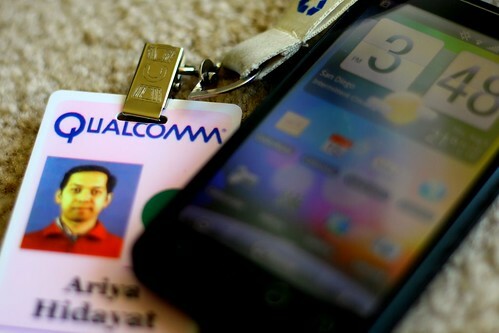 Today is my last day at Qualcomm. It still feels like yesterday when I set foot in this continent, started some fun with X2, enjoyed Brazil, had this meet-up in Cupertino, did little exploration around San Diego, and then got blessed with a cute boy. Time really flies. Now it's already time to move on, again (though this time without a geeky resignation). I will miss Snapdragon (the pictured HTC EVO is powered by the said platform). Or any other dragons. KDE 4.5 will be released in the next days with the most polished Kate/KWrite and KatePart during the KDE 4.x series. To qualify, you must use the same email address that you used to register for VMworld 2010. Also, your colleagues need to use the same email address you enter for them on this referral form when they register for VMworld 2010 San Francisco. Aurelien Gateau: Return of the hummingbird… Colibri 0.2.1 is out! I just released version 0.2.1 of Colibri, the passive alternative to KDE4 plasma notifications. Here are the most important changes. Consecutive notifications are now merged. This is quite handy when someone sends you three consecutive messages on IRC for example: instead of showing three bubbles on after the other, the current notification will grow and integrate the next message. This only happen for notifications from the same application, with the same title. The notification bubble follows the Plasma look more closely: it features the same background halo behind text and can take advantage of blurred background when running on KDE 4.5. It is now possible to select on which monitor the notifications will appear. A "Preview" button has been added. It is easier to setup Colibri on your machine: the configuration module will warn you if another notification system is running and let you start Colibri if it is not running. MongoDB — документо-ориентированная система управления базами данных (СУБД) с открытым исходным кодом, не требующая описания схемы таблиц. Написана на языке C++. Шардинг готов для использование в продакшене, давая возможность масштабировать MongoDB горизонтально. При необходимости, единственный экземпляр mongod может быть преобразован в распределенный кластер с нулевым даунтаймом. Replica sets - новый метод репликации, которы предоставляет возможность автоматически переключаться среди участников кластера. Replica pairs объявлен устаревшим; использующим данный функционал рекомендуется перейти на использование replica sets. Команда findAndModify теперь поддерживает upserts(аналог SQL MERGE). Так же теперь позволяется указывать поле, которое должно быть получено. I frequently find myself wanting to look through the Qt source or look through a couple of commits. I could keep a copy of Qt checked out on all the computers I use, and flick through the repository using git command-line or qgit or even git instaweb, but this is usually less convenient than simply heading over to gitorious. Unfortunately, gitorious is notoriously sluggish and I find their site design a bit hindering as well. So I’ve decided to mirror Qt’s repository on my personal server running cgit, which is much much faster than Gitorious. It’s synced once an hour by cron. And if nobody abuses this, I’ll keep it open for the community. Head on over to git.zx2c4.com/qt. Will Stephenson: Wanna work on openSUSE? Check out the new episode of KDE and the Masters of the Universe featuring Jure Repinc. Генерация: 0.294 сек. и 40 запросов к базе данных за 0.157 сек.